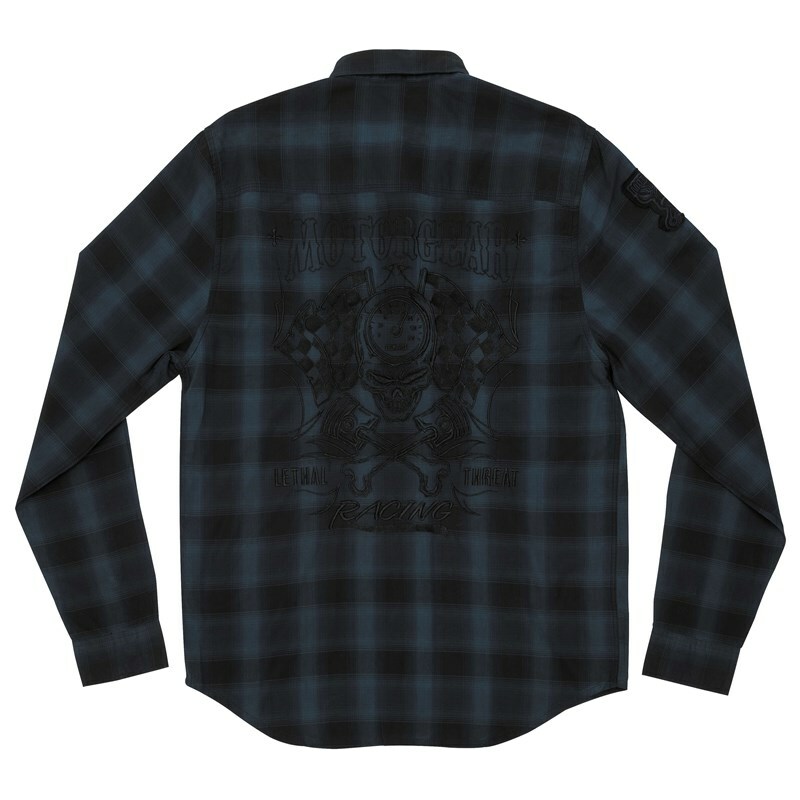 Work shirt with Lethal Threat Skull logo embroidered over the left pocket, full-embroidered design on the back- not a patch, direct to garment embroidery. Made of 65% polyester, 35% cotton blend. Button front, two chest pockets.